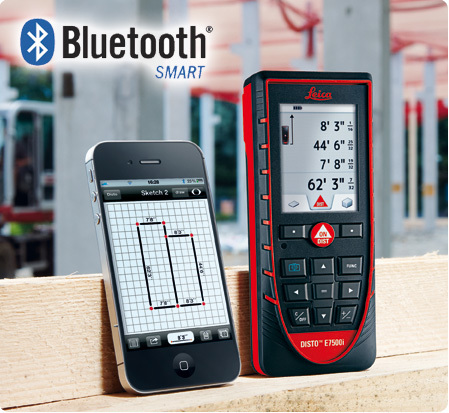 The Disto E7500i is built with Bluetooth Smart technology, making it compatible with the iPhone 4s, iPhone 5, and newer generation iPad devices. Measurements can be easily transferred to compatible iOS apps. With the free Leica Disto Sketch app for iOS, you can create simple grid sketches or take a photo and add your dimensions. Then simply email it directly from your phone to the office. The Disto E7500i interface was completely redesigned to be more intuitive and modern. Your favorite functions can be assigned to a pair of selection keys for quick access with a single press. Integrated help guides you through each available function. The E7500i's outdoor display visibility is an improvement even beyond previous digital point finder models. With 1x, 2x, and 4x digital zoom, even in bright sunny conditions you can easily find your target in the cross hairs on the display. The Disto E7500i is protected against water, dust and shock with a IP65 protection class rating. To obtain an IP65 rating, the case must be tight enough to provide complete protection from dust entering any of the electronic components. It also can sustain water projected by nozzle against the enclosure from any direction without harmful effects after 3 minutes of continuous spraying. 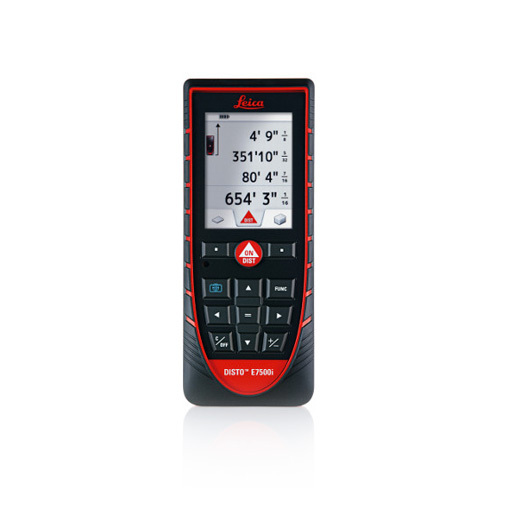 The Disto E7500i displays height and distance differences to an established reference point. 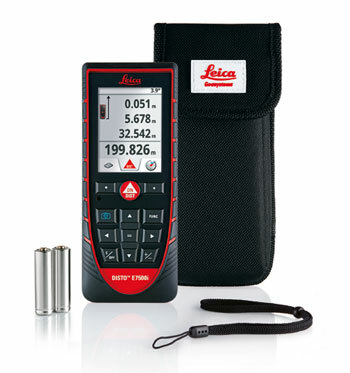 This allows you to quickly make profile measurements without using more expensive equipment. This function can also be used to check levelness of floors, if crossbeams are straight, and many other applications. Thanks to the combination of distance and tilt measurements, you can determine the horizontal distance precisely - even over obstructions. With the help of the tilt sensor, you can also determine indirect heights. This function is very helpful if walls, hedges or people are between the instrument andthe target.